I get this question very often. People see the ball moss in the live oaks on the dead limbs and automatically think it is killing the branches and that it will eventually kill the tree if it is not removed. The truth is that ball moss is an epiphyte, or air feeder, and is not parasitic to the tree. Because it is growing inside the canopy in shady areas around here, it looks as though it is killing tree limbs, when in fact the limbs are dying naturally over time due to lack of sunlight penetration. Unfortunately, many less reputable and/or uneducated sales representatives for some local tree care companies often use the interior limb death as a fear factor and a sales tool to sell extensive ball moss removal for their companies. However, the truth about ball moss with respect to tree health is not always completely cut and dry. I attended a seminar on ball moss about five years ago at Texas A&M by Dr. Todd Watson who is Urban Forest researcher at Texas Agricultural Experiment Station and an expert on mistletoe and ball moss (as well as a great guy). When the class full of professional, certified arborists were asked if ball moss is detrimental to plant health, half of the class raised their hands and the other half did not (I did not). This was very interesting. The reason for the split had to do with where specifically in Texas the arborists were practicing. In humid areas of Texas, especially around lakes and bodies of water, ball moss infestations can be huge. In the Austin area, however, the air is dryer and even by water, the infestations are generally not as bad. In humid areas where ball moss is severe, it can actually grow over the ends of limbs in the full sun, causing the branches to actually be shaded out at the tips and killing sections of the outer canopy. In these instances, it needs to be pruned off or sprayed. Here in Central Texas, the way I handle ball moss on live oaks is to prune it out of the trees. The air is generally quite dry here, and the infestations are rarely severe. Trees with larger amounts of dead wood that have formed since the last pruning cycle are more apt to have ball moss. As the canopies thicken back up since the last pruning cycle, the interior limbs die due to lower of sunlight penetration, and more ball moss forms on these limbs, and often on the interior living limbs as well, although generally not to the same extent. It is important for long-term tree health to remove dead limbs from the interior of oak trees over time, especially large dead limbs. This then allows the trees to heal over and compartmentalize rot, helping to keep the living limbs healthy. As the dead wood is removed, so goes the ball moss. Since the trees generally do not form that much ball moss between pruning cycles, it is not an issue in most cases. Since spraying is costly, does not address the pruning needs of the tree, and is generally not necessary due to mild infestations, you will rarely see ball moss spraying as a preventive measure around here. 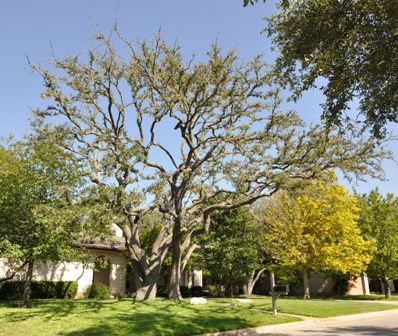 https://centraltexastreecare.com/wp-content/uploads/2015/06/austin-tree-care1.png 0 0 Andy Johnson https://centraltexastreecare.com/wp-content/uploads/2015/06/austin-tree-care1.png Andy Johnson2012-05-22 16:09:122012-05-22 16:09:12Is ball moss killing my live oaks in Austin? Once oak wilt is diagnosed, many people are at a loss as to what to do. 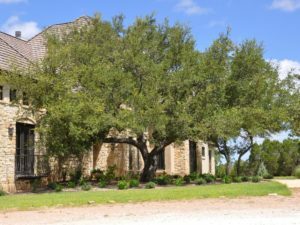 In the course of my career here in Central Texas, upon being called onto a property, many people have told me that once live oaks get oak wilt, that they are untreatable and that they should just let them die. This is simply not true. The most important factor to diagnosing oak wilt is diagnosing it early. If you in any way think that your oaks may be in decline, immediately call me out to inspect them. At this point, I will be able to either eliminate the possibility altogether or, immediately diagnose the disease and start treatment right away. The longer you wait, the more damage the fungus will do to the tree, and then a successful treatment is less likely. In some cases, even a 20 percent defoliation can be evidence that the disease has progressed too far, and a treatment will be unsuccessful. Generally speaking, when an infected oak is treated, if it takes in enough material, it tends to stay at the canopy density it has when it is treated. This is why you often see live oaks that have been treated looking so thin and defoliated. We use Alamo fungicide, generally at 20 milliliters per liter, and generally only treat trees once they have been diagnosed with oak wilt, or are in a stand of oaks that are symptomatic. Trees put on new rings of growth every year, creating thicker trunks, roots and branches, and new roots and shoots. Since this is new living tissue, once the Alamo has been injected into the tree the new years subsequent growth does not contain the chemical, and is not protected. We used to recommend treatment initially as a preventive for five-year intervals, with re-application every five years thereafter. Now, we are recommending treatment every two years; but only when the trees are either symptomatic or at high risk of contracting the disease within 12 months after treatment. We use the recommended Texas A&M macro-injection method. On larger properties such as parks and ranches, or in certain neighborhoods, sometimes trenching can be a good idea. When hundreds or even thousands of oaks are at risk from oak wilt infected trees on property perimeters, often root severing through trenching two feet deep is the best and most cost-effective option for keeping out the disease. This is NOT a panacea, and it will NOT keep beetles from spreading the disease to healthy trees under ideal conditions, but it CAN keep the disease out in certain instances. It is better undertaken where large natural areas and large amounts of trees make Alamo treatment economically unfeasible. In neighborhoods, streets and sewer lines are essentially trenches, and the disease is often confined to city blocks once new beetle infections occur. https://centraltexastreecare.com/wp-content/uploads/2015/06/austin-tree-care1.png 0 0 Andy Johnson https://centraltexastreecare.com/wp-content/uploads/2015/06/austin-tree-care1.png Andy Johnson2012-05-22 16:08:512012-05-22 16:08:51Is oak wilt treatable and how? Fake grass. When we think about fake grass, many of us think back to the astroturf in football stadiums, or the cheap fake grass they used to use in the grocery store produce sections or various department stores. The fact is that ‘fake’ or man-made grass has come a long way since then. Stick with me here. Now, you can actually buy artificial grasses that look like fescues, buffalo grass, St. Augustine or Bermuda as well as many other species. Not only that, but there are actually companies out there that help you pick out what you like and actually install it for you! Install it, you ask? A football field for a yard? It’s no wonder people are looking for other options. Standard xeriscaping is not for everyone. The goal here is water conservation and the reduction in fertilizer and chemical applications. But, how can it be good for trees? I thought it would be awful for trees, suffocating and sterilizing the tree roots. Boy, was I wrong! Artificial lawns are porous, allowing water and oxygen to get to the tree’s absorbing roots. Artificial grass has no roots to compete with tree roots. Weed killers, which are always used on lawns and which often kill trees outright via Roundup, weed and feed or other herbicides, are no longer needed. Pollution due to lawn mowers is eliminated. Thousands or dollars per year are saved by the homeowner. So let me get this straight, the trees are actually happier and the homeowner saves money? Exactly! I never thought I would be touting artificial anything. I hate artificial Christmas trees, wreaths, etc. In this case though, there are more than a few things to think about. First, we live in a desert environment here in the Austin area, where everything has to be artificially watered in order to survive in the blistering dry summer heat. Droughts are constant. Water is expensive, and as you water the grass it grows and then has to be mowed and maintained. Water is a limited resource and we all waste more of it than we should. 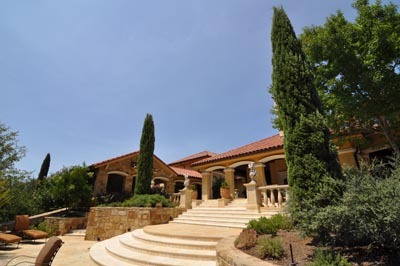 If not for irrigation, it would all be live oaks, cedars and cactus in the yard. Think about this. We treat water so that it is potable (drinkable), then waste it on our lawns. Lawns don’t need heavily treated, drinkable water! Jerry Jeff (the country artist) told me recently that he has a house in Belize where he has a holding tank under the house the same size as the foundation. This tank catches the rain water that is then used to flush the toilets and irrigate the landscape. What is the point in heavily treating water that you flush down the toilet or use for irrigation? Not only that, but the chlorine used to treat water is not optimum for plant health anyway. This is simply one thing most Americans just don’t think about. https://centraltexastreecare.com/wp-content/uploads/2015/06/austin-tree-care1.png 0 0 Andy Johnson https://centraltexastreecare.com/wp-content/uploads/2015/06/austin-tree-care1.png Andy Johnson2012-05-22 16:07:532012-05-22 16:07:53Fake grass under your trees? Topping? Lion-tailing? What do these terms mean? Of the damage that can be done by improper pruning, topping and lion-tailing are certainly two of the worst things that can be done to tree. Topping involves removing the tops of the limbs and leaving huge, ‘stubbed off’ limbs and nothing else. A fellow arborist I worked with over 15 years ago likened it to a person having their arms and legs cut off. More often than not, it kills a tree outright. If the tree does survive, it has to tap into all of its energy reserves to re-grow multiple limbs from each cut. Unfortunately, as these new long skinny limbs re-grow around the outside of each large wound, the center of the wound then begins to rot slowly over time. While the weakly attached re-growth often eventually breaks at the area of attachment, the actual limb itself rots from the center causing even weaker and more dangerous limbs over time. Topping typically kills slow growing trees, such as oaks, right away. Unfortunately, these are the trees that are the best at compartmentalizing rot and have the strongest wood. Also, topping usually kills excurrent trees such as pines or bald cypress (that have a pyramidal shape and one dominant, central leader), outright. Survivability after topping is much higher in faster growing, softer wooded trees such as maples or ash trees. Unfortunately, these are the very trees that rot the fastest because they are poor at compartmentalizing rot. These softer wooded trees quickly become hazardous after topping. Heading is like topping, but is done to an individual branch. Heading back a limb has the same effect as topping. If the limb gets enough sunlight, it re-sprouts many new branches from the cut. These branches are also weakly attached, and unsightly. Branches that are pruned properly are much less likely to re-sprout. If limbs that are in full sun are headed back into the canopy and are shaded, they typically die. Lion-tailing, or ‘poodle-tailing’ is done by stripping branches of all their lateral limbs, except for the branches at the end of the limb. This causes the limbs to look like a lion’s tail, or a Dr. Seuss truffula tree, for example. This is extremely bad for the tree, and causes the limbs to eventually break off due to the excessive weight at the very end of the branch. This also has a weakening effect over time. Limbs have many living ‘lateral’ limbs along their length. These lateral limbs have the effect of strengthening the limb over time as they expand, but also have the effect of increasing the limb diameter at that point along the limb, increasing taper by increasing the limbs diameter at that point along the branch. Limbs with little to no taper are always very weak, and much more prone to failure. Add to that the effect of weighting the branches only at the ends, and we have a seriously unsafe situation that gets much worse over time. Certain trees, such as maples, are more prone to re-sprouting. Oaks, for example, often do not re-sprout. Certain trees have more inner leaves than others. Oaks, for example have much less interior leaf growth than maples, ash or elms. This contributes to the trees ability to re-grow leaves in the center after limb loss. This is of course taken into consideration when pruning each species. When it comes to pruning, you can pay a great deal of money to have your trees destroyed. I have seen it happen before many times. Years ago my neighbor paid $2400.00 to have his four ash trees lion-tailed. For five years after he had it done, limbs were continuously breaking and hanging down in the canopy, causing hazardous situations continually. 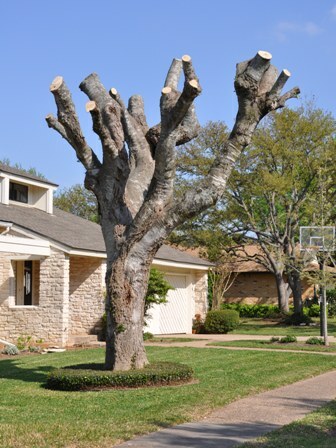 Over-thinning or topping trees leave you with an additional expense to have them removed when they die. Then you have the expense of re-planting as well. I still see these types of poor pruning today. Although it is not as prevalent as it was years ago, it does still happen. Bad pruning cuts are a daily occurrence with poorly trained pruning crews. A ‘flush cut’ that cuts off the branch collar cannot be corrected, and may never heal, leading to rot and even tree failure in the future. Stub cuts, although they can be corrected, are unsightly and can also lead to decay and infection when left. It is better to get a seasoned certified arborist out to your property to have it done properly the first time Trees can add up to 20 percent to your property value. There is simply no substitute to hiring the right person when it comes to your valuable trees. Don’t cut corners. Often you will even pay the same for bad pruning work, as you would for a quality job. Call us for a free estimate! Are there smaller diameter dead limbs throughout the canopy of your live oak? In a drought, the live oaks, as with most trees are also experiencing stress. The good news is that live oaks are extremely drought tolerant. They are resilient and can handle long periods with very little water. Very few diseases affect live oaks, and those that do (oak wit aside) are often not fatal. It is important to note that live oaks form dead wood in the inner canopy naturally over time. This ‘interior’ dead wood is normal and forms because the interior limbs get less sunlight as the outer canopy grows and thickens over time, causing them to drop their leaves and ‘shed’ these branches. The scientific name for this branch shedding is cladoptosis. Occasionally, live oaks lose previously healthy limbs in the canopy. These can be caused by physical damage such as wind damage or vehicle damage, or in rare occasions they can be disease related. When trees are weak from stress, they are more susceptible to disease. One of the diseases that live oaks get more frequently during drought years is a fungus called twig blight, Cryptocline cinerescens. It is not widespread in theAustin area, but when it does happen, it can be scary to the homeowner. Since most local arborists are not familiar with this disease, it is often misdiagnosed. I was first introduced to this disease 20 years ago inNorthern California, where it is much more prevalent. The disease is characterized by many dead and dying limbs of smaller diameter, scattered throughout the live oak canopy, usually but not always fairly evenly distributed. This disease is rarely fatal. Most of the time, it is just responsible for the death of specific smaller limbs throughout the canopy which then can be pruned out past the transition zone into the healthy wood. After that, we usually spray the tree with a fungicide to address re-infestation. As with all diseases, initial and correct diagnosis is the key.